Account takeover fraud—it’s not just for banks anymore. In recent years, e-commerce, streaming media, telecommunications and digital wallets all have felt the threat that ATO poses to their business. The number and variety of online accounts that contain stored value or to which consumers are attaching payment credentials has proliferated significantly, and all of them are currently secured with passwords that consumers reuse frequently, opening a vulnerability that is leveraged by stolen data. 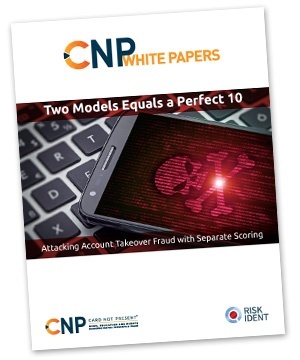 Get this white paper, sponsored by Risk Ident, to understand the best way to attack ATO fraudsters. And, in a merchant case study, find out how implementing technology developed specifically to identify account takeovers measures can enhance the performance of your overall fraud detection and prevention. When fraudsters take over your legitimate customers’ accounts, they become a business’s most feared foe: one that looks exactly like a trusted friend.